A few drops of Distilled water or if you can use Witch Hazel instead, as it will make the mixture last longer. Basil has anti-inflammatory properties that will reduce swelling while peppermint is soothing and cooling to the skin. Tea tree is antiseptic and will prevent the bite from getting infected as well as help with the healing process. Aloe always works wonders as well. 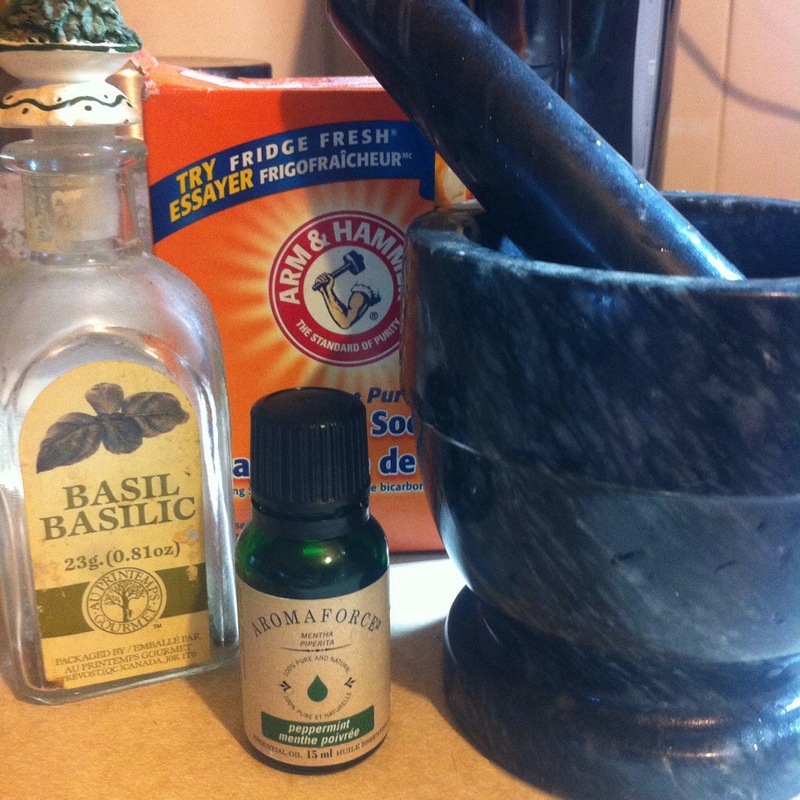 Crush your herbs into a fine powder using your mortar and pestle or coffee grinder. 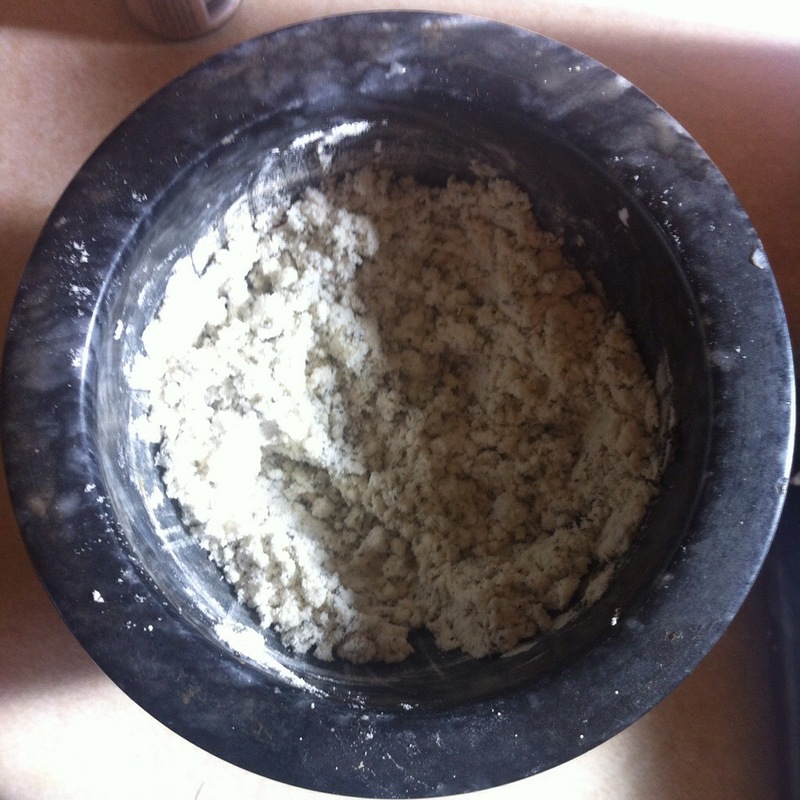 Slowly and carefully add a few drops of water or witch hazel, mixing constantly until the mixture forms a thick paste. Store in an airtight container in the refrigerator for extra soothing / cooling effects. Here is a SUPER list of 15 Home Remedies for Bug Bites & Stings! I recommend Mountain Rose Herbs & Starwest Botanicals for all of your herbal healing needs! For my Canadian Friends, you can purchase your oils at Harmonious Mind. You can purchase any extra supplies over at Amazon.ca. Images Edited using PicMonkey. Some of the links here are affiliate sites, meaning if you make a purchase using my link, I earn a small commission! Thank You for supporting The Herbal Healing Mama. & Please also see my disclaimer. Thanks Friends. 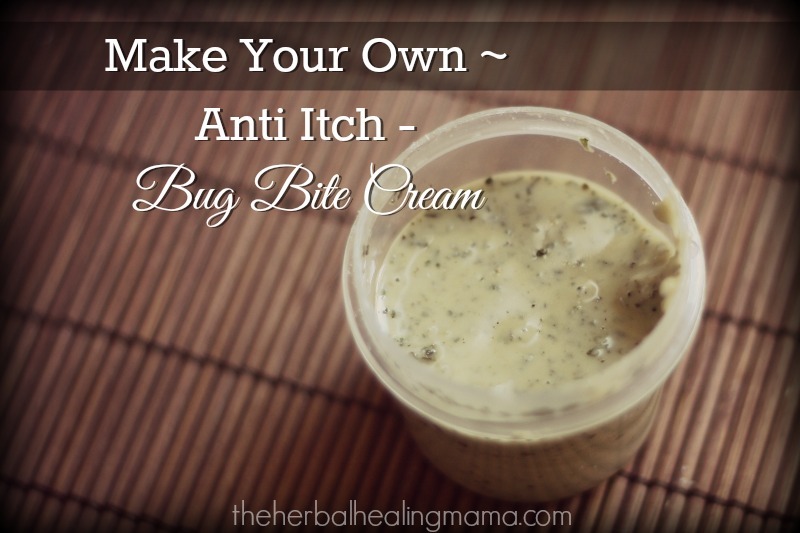 What is your best recipe or trick for relieving big bite itchiness? Make Your Own ~ Coffee “Tired Eyes” Cream. Herbal Baby ~ All Natural Product Options for your Littles. Hi Red! I’ve been doing some research on preservatives and considering finding something universal to add into my products. (even though the batch sizes I make are so small, and kept refrigerated – so they shouldn’t spoil before being used – still better safe than sorry) I was reading the links you posted to the dangers. I found New Directions sells the germall you recommended, but I was nervous when reading some of the ingredients. Take a look at this article & let me know your thoughts: http://www.skincaretalk.com/t/14673/avoid-germall-plus-germall-ii-and-germal-115 – I definitely think I’ll stick to the witch hazel rather than adding germall. Upon further reading, It states the DIAZOLIDINYL UREA in Germall works by forming formaldehyde into the product.